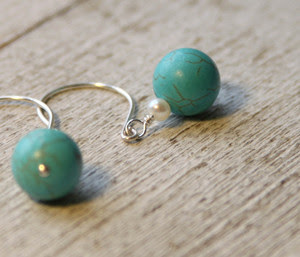 Beki is the creator behind some very beautiful and affordable jewelry. She sells it here in her shop, The Rusted Chain. 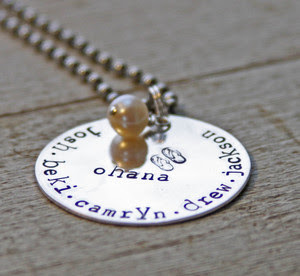 Her items range from beautiful hand stamped silver pendants to simple and beautiful earrings. She also uses her jewelry as a way to help others. 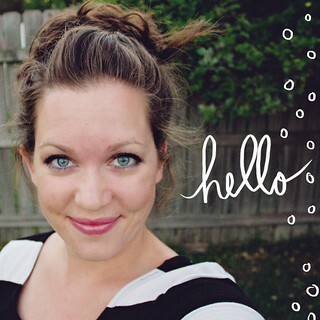 Recently she has raised up to $3,000 for Haiti from profits that were made from her “Blessed” necklace. Amazing! Beautiful! 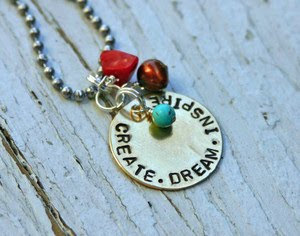 I love to see great jewelry! Thanks for sharing! Your first sponsor! Woo hoo! Congrats girl! And I love their jewelry… it’s gorgeous! And to top it all off, Beki is every bit as sweet as she is beautiful! She made a necklace for a special friend of mine, and it was absolutely stunning! One day, I MUST have a “The Rusted Chain” necklace of my own!